Visible from the graveyard and sharing its name with the same martyr, St Pancras, is the sister station to King’s Cross, a Victorian gothic masterpiece built by Sir George Gilbert Scott. Just under half a century after this station opened, the architect’s son, Giles Gilbert Scott had entered a competition to design a telephone box. 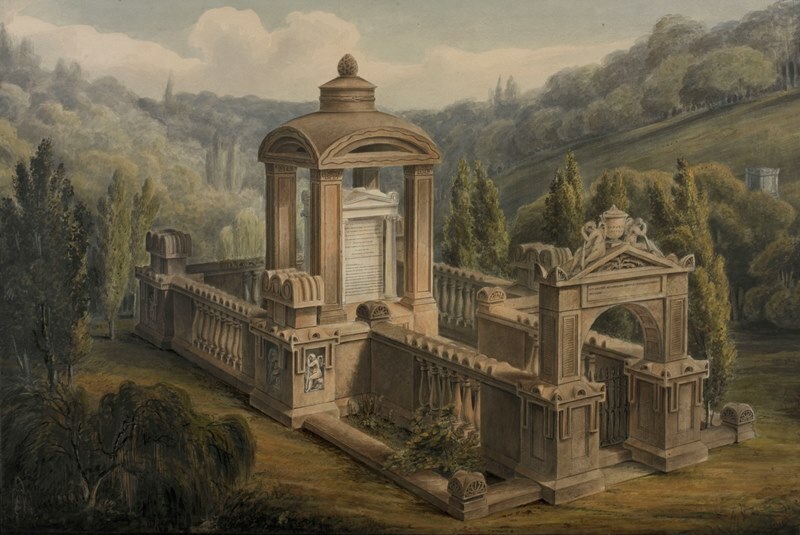 He trod around the graveyard of St Pancras Old Church, in the shadow of his father’s masterpiece, and found inspiration: the central domed structure of [Sir John] Soane’s tomb. Though the design of the iconic red telephone box evolved over the years, from the K2 in 1926 to the K6 model in 1935, the structure remained the same: a column-like construction capped, like the tomb, by a domed roof.